Generally, aircrafts having fixed wings which are extremely efficient for long-distance flight applications. However, fixed wings aircraft require a significant runway and landing infrastructure. Whereas, vertical takeoff and landing (VTOL) aircraft as the name suggests provide vertical take-off and do not require a runway for take-off and landing. However, existing VTOL aircraft usually have large power plants and fuel requirements. 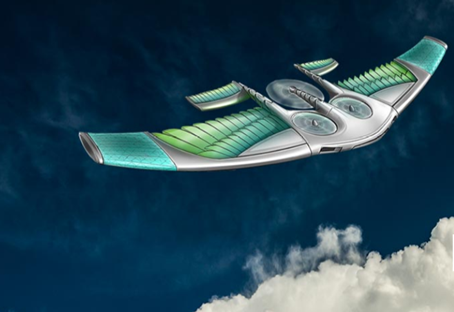 Nonetheless, thanks to an innovation by Bio-Cellular Design Aeronautics, variable geometry airframe for vertical and horizontal flight are now possible. According to a recent patent filed by Bio-Cellular Design Aeronautics, manufacturing of an aircraft that may have the advantages of both VTOL aircraft and fixed-wing aircraft is now possible. The aircraft may have variable geometry airframe which will allow the aircraft to have a vertical and horizontal flight. Further, the aircraft uses folding and extensible wings to improve lift and drag performance similar to a fixed wing aircraft. Further, materials like carbon fiber or similar material having a high strength to weight ratio may be utilized to manufacture the airframe of the aircraft. Moreover, the aircraft may be embedded with a power plant such as a rotor driven ducted fan assembly, to provide vertical and forward thrust to the aircraft that may provide the aircraft the ability to achieve vertical flight. Moreover, the number of rotor blades depends on the configuration and capacities of the airframe. The aircraft may be embedded with multiple batteries and fuel cells to supply power to the power plant. For additional landing shock absorption, the landing legs of the aircraft may be made of deformable plastic or rubber. Further, conventional airfoil shaped one or more hybrid wings may make the structure of the aircraft. Additionally, the hybrid wing may be formed of laminate material or foam materials via a foam injection molding process. Further, to prevent the aircraft from stalling while transitioning from a vertical flight mode to a forward flight mode, the hybrid wing may also include at least one of vortex generators, leading-edge slats or flaperons. 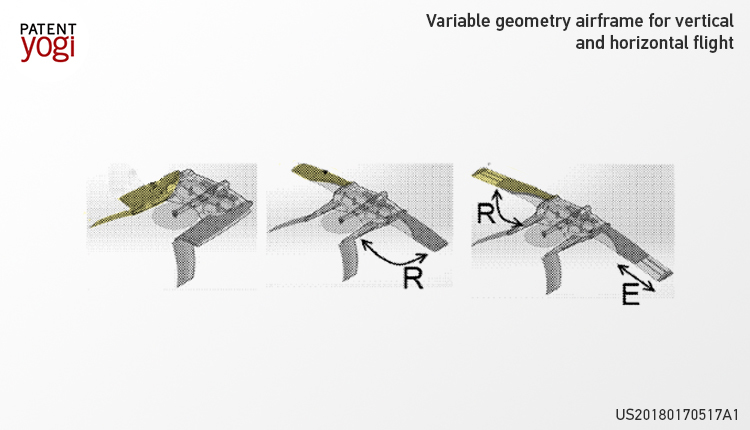 Further, the hybrid winds may be embedded with wing extensions that may extend the length and/or surface area of the hybrid wing. The expanded fixed wings provide additional lift to the aircraft for forward flight. For instance, Hydraulic pistons, springs, levers, or other mechanisms may be utilized to extend the wing extensions. Further, the wing extensions may be retracted, when the aircraft reaches sufficient speed. An aircraft capable of improved VTOL performance as well as improved forward flight performance. This is not only economical but also help solve the problem of a fixed-wing aircraft as well as VTOL aircraft. This technology may provide flexibility to the operator to operate the aircraft in a limited space. Further, this technology may be suitable for an unmanned aerial vehicle. So, what do you think? How much time before these aircraft become mainstream? Let us know your thoughts in the comments below.